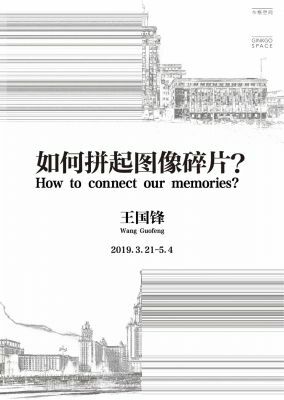 About Wang Guofeng - How to connect our memories? Since 2006, Wang Guofeng has been working on these two series of photographs, I deality and Utopia based on historical sites and architectures remnants from China, former Soviet Union, Eastern Europe, and other former socialist states. Both series present large-scaleand monumental architectures that initially were aimed at propagating ideologies and national wills at specific moments in the history of humanity.These large-scale and spectacular architectures are as much the embodiments of power and ideology as they are spatial installations in the spectacles of power. Wang Guofeng isolates these objectified spectacles from history in his reinvestigations of them, and transforms them in to bewildering compositions with the naked eye in order to emphasize on their implicit meanings. These spectacles are end owed with traces of time, as well as shapes of ideology. They are both physical and symbolic. Wang Guofeng conceives the frontal shots of these architectures as the objects of his gaze, and through his precise portrayal, Wang probes the representation of national will within aestheticsand spatial domains. These architectural photographs Wang Guofeng has captured are not necessarily the artist’s reminiscence for that specific era, instead he assigns certain specificities to a lived era of utopia by means of the photographic observation and the artist’s gaze. These images not only allow us to look at the architecture that has lost its former visual power, but also a glimpse of the trans for mative relationship between power and architecture as we live through these complex his torical transitions. Today, as the power dynamics shift through its rise and fall, these spectacular architectures only exist as the fossils of history, and people may no longer be impressed by their majesty. At last, Wang Guofeng’s photographs still allow us to discover the extensive meanings and reinterpretations of these defining architectures under specific historical conditions.